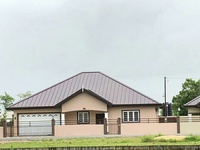 This beautiful home is 5 mins from Montrose KFC Chaguanas,FULLY air conditioned Description of Residential Sale: Land Size: 5,101 sqft Building Size: 3,330 sqft (All approvals in hand) Age: 4 years Storey: 2 Bedrooms: 4 (upper floor) Bathrooms: 3 (upper floor) Half Baths: 1 (ground floor) Office / Study: 1 (upper floor; Can be used as a 5th bedroom). Garage: 2-Car, automatic enclosure. Laundry: Area in garage. 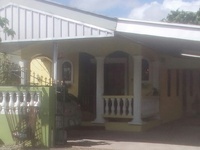 Porches: 3 (front downstairs / back downstairs / master bedroom) Security: 24/7 security guards. 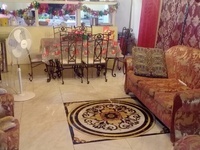 Air Condition: In each bedroom; living area, dining area, back porch. 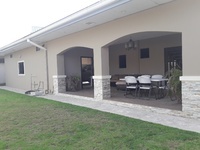 Water Tank: 1000 Gal x 2 Water Heater: Tank (large) Roof: Standing Seam Sewer System: Sewer Fence: Concrete Perimeter Wall (front gate not included) Yard: Pavers & Stone-Finished (NB: Back yard space for a pool). 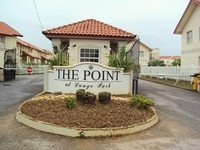 Maintenance Fee: Monthly maintenance fee for this development is currently TT$325.00 per month. 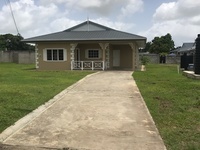 - Pre selling - Cunupia, Central Trinidad - Grand Townhouses - Floor area 2,300 square feet - Laundry room - Back porch - Back yard - Master balcony - Infrastructure currently ongoing. 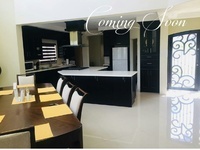 Price likely to go up on completion - A projected valuation done puts the property at 2.5mil. Invest now to capitalize on the introductory prices! 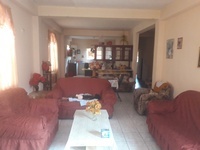 - 4 Bedrooms - 3 1/2 Bathrooms - Fully Furnished / Fully Air Conditioned - 1,400 Gallons of water with pump - 2 Bedroom Apartment Attached - Separate Outdoor Office WITH Basement - Minutes Away From Price Plaza - This property has a lot of potential to double as living and income earner, or for very large families!! 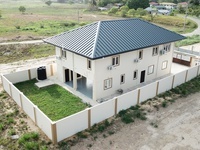 3 bedroom, airconditioned. 2 bathrooms. 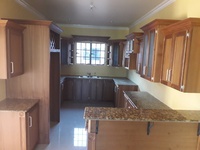 cupboards. 1.65 million. 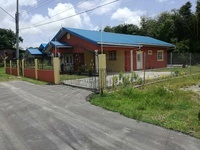 3 Bedroom/2 Bathroom House on 1 Lot Land, Ragoonanan Road, Cunupia. 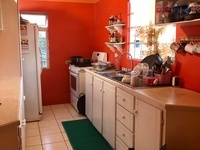 2 Kitchens, Fenced,A/C . Offers invited. 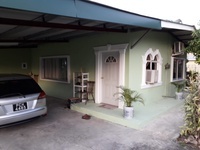 2 Storey House For Sale, Orchard Gardens, Chaguanas Orchard Gardens – Unfurnished 2 bedroom 1 bath home with a laundry room which can be converted to a bathroom, kitchen, open floor dining and living area, lots of yard space and parking. 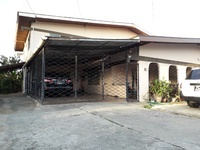 Asking 2 Million Contact for viewing. COUVA. 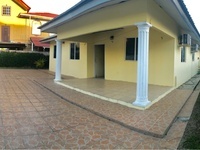 Prime Residential 4-bedroom house, 2 mins from Highway. REDUCED Sale price $3.5m. 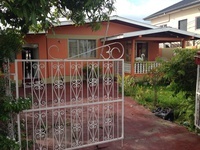 5mins from montrose approaching Longdenville 4 Bedroom house in chaguanas for sale, gated community, secured area, fully air conditioned, washroom, storage 2 toilet and bath Built in teak cupboards in kitchen and all bedrooms Big yard, great for pool installation and playing area for kids Garage accomodation for 2 vehicles and automatic sliding gate. No flooding in area, info could be retained from neighbours on viewing. CHAGUANAS. 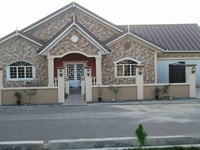 Lovely 5-bedroom house with all mordern conveniences on 6,729 sft land in a nice neighborhood. All documents bank-ready. $2.9m. Call for viewing appointments. 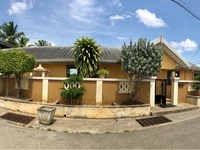 House for sale LOCATION- La Paille, Caroni Description: -On one lot of land -3 bedrooms - 1 bathroom -kitchen -living room -dining room -front porch -with Annex 30 ft X 12ft. 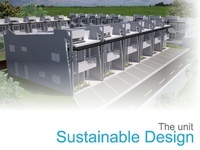 This exquisitely designed 2 storey home on 6,729 sqft offers 5 spacious bedrooms all with built in cupboards. 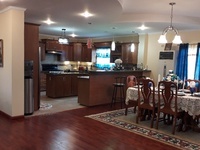 There is a separate laundry room, large backyard space and secure indoor parking for 4 vehicles. Neighbourhood watch in effect. 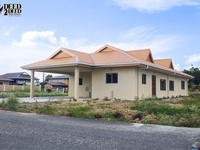 Very close proximity to Chaguanas and allconveniences. Call for more information and viewing appointments. 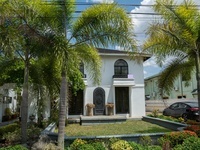 This beautiful home sits on approximately 5,000sqft, tucked away in a prime residential neighborhood. 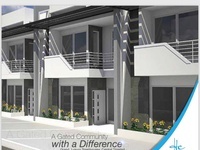 Minutes to all major conveniences. Call or email arealtorsinc@gmail.com for viewing appointments. 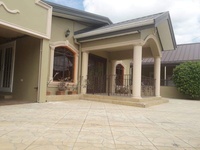 This 3 bedroom home sits on approximately 5,000sqft land in a quiet residential area. 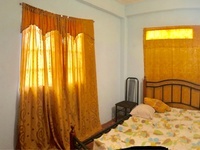 All rooms are airconditioned with adequate space to the back of the property for entertainment. Neighborhood watch in effect. 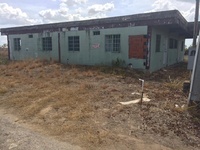 Property is located 8 minutes to highway. Call or email arealtorsinc@gmail.com for viewing appointments. 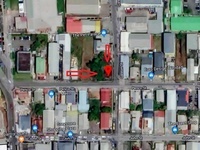 5 bedrodetails me Property is located minutes from the Chaguanas Government Primary school and Price Mart.All documents are bank ready. Priced for quick Sale Call WhatsApp for more details. 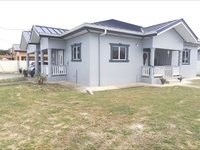 Beautiful 3 bedroom home in a nice area. Neighbourhood watch in effect. 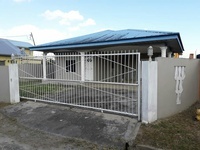 Located minutes to the Main road all major conveniences. 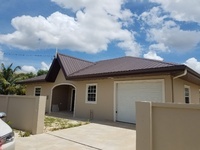 Call for more information and viewing appointments. 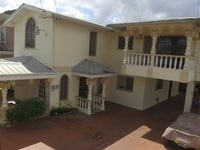 Looking for a Property to Flip#22 Penco St Montrose Chaguanas might just be the one. 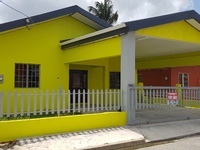 located on the corner of Penco and Gaston, perfect location for the Investor, poised in an active location, near all major facilities inclusive of Kiss Baking, Burmac and Bhagwansingh, easy access though Lange Park to Rodney road, Pricesmart, etc, with easy walking distance to the Southern Main rd.Great Investment This FREEHOLD property is approx. 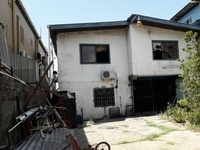 4900 Sq Ft and currently has an older dwelling of 3 bedrooms 1 bath.The property is priced for quick sale of $1,500,000.00 TTD as per valuation completed in January of 2019, valuation can be made available for buyers usage (terms & Conditions may apply).Perfect corner for a flagship business/Apartments/Outlets. CHAGUANAS. 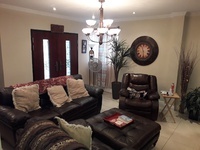 Lovely 3-bedroom Townhouse in gated community. Chaguanas. 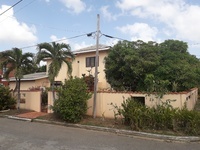 Lovely 3-bedroom Townhouse in a gated-community. 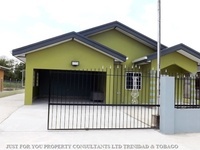 Chaguanas 3-bedroom Townhouse with all modern conveniences. CUNUPIA. 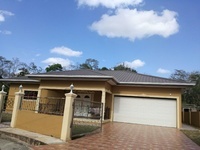 Lovely spacious 4-bedroom fully-furnished house in a secure gated community. REDUCED $2.6m. 6 mins from Highway. Call 375-7756 or 620-7441 for viewing Appointments. 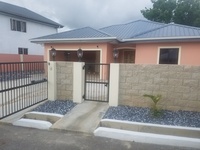 Lovely 3-bedroom house in Gated-community. $2,500,000. Call/Watsup viweing & for more info. Londenville. 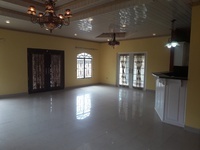 Fully furnished 3-bedroom house on 5,150 sft land. 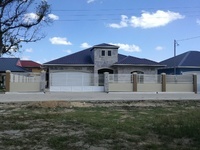 CASH Sale $590,000. Call 375-7756 or 620-7441 for viewing appointments. 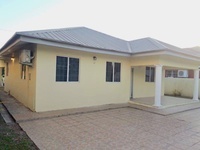 4 bedroom, 2 bath, gated community, secured area, Fully a/c, fully tiled, fully equipped with cupboards. 5 mins from montrose 10mins from highway. parking for 2 vehicles. 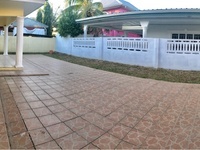 Big yard great for children and installation of a pool. 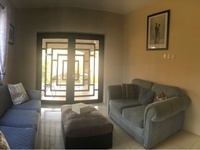 Owner lives abroad and would like to sell. All documents in order and ready for sale. 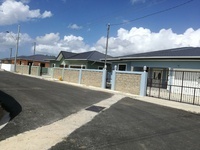 CHAGUANAS property comprises 3 residential dwellings. 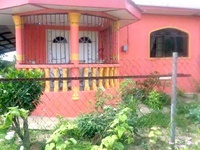 CHAGUANAS property, comprises:- (1) a Lovely 2-bedroom fully-furnished house on approx. 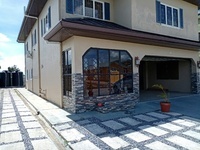 4,700sft land (2) a 2-bedroom Townhouse (3) a 1-bedroom studio Apartment, 8 mins to Pricesmart and Highway. REDUCED $1.5m. All documents ready for CASH Buyer. Call 375-7756 or 620-7441 for viewing appointments. 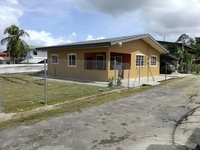 4 unfinished 2 bedroom appartment in Joyce road,chaguanas on two lot of land . Has water on the property and electricity pole near by. Also in a good quiet area . 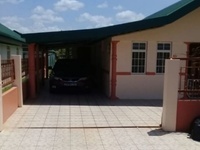 Located Freeport/Arena2 mins from HiwayPeaceful,Quiet,Safe,Breezy Area 3 Bedroom, Study room Fully Air conditioned Remote gate Teak Cedar kitchen Cupboards Granite and Quartz Countertops Water pump and Heater 3 toilet and Baths Porcelain Tiles 1 Lot of Land Spacious. 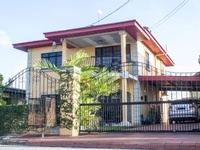 Chaguanas, Ramsarran Street house . 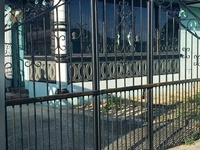 CHAGUANAS, Off Ramsaran Street. 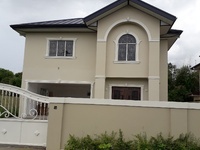 2 Storey House. 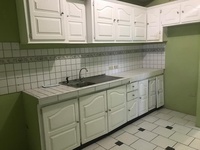 UPPER : 2 bedroom, 1 bath,Kitchen, Living/Dining Rooms, Veranda. 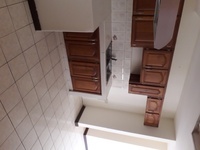 LOWER : 1 Bedroom Apartment. Approved. 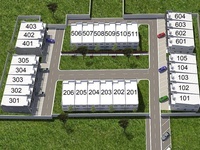 3 bedrooms,( 2 master )..on 5000sq feet land. Cash buyer.$1.4 million. 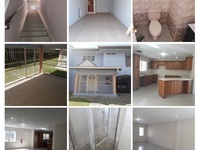 5 bedroom,3toilets an bath fully tile within spacious parking, garage to accommodate 3 vehicles. 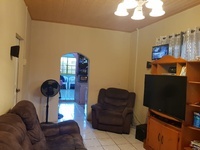 split level on over 5000sq feet of land located in central cunupia with access to banks, supermarkets,pharmacys, doctors an lawyer offices, parts place an much more within less than 5 minutes access ...family oriented environment. CHAGUANAS. 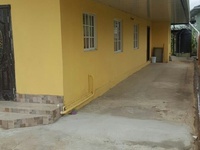 Lovely 5-bedroom semi-furnished house on approx. 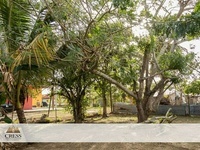 6,000 sft land (with backyard room for swimming-pool) with all modern conveniences, in secure, tranquil neighborhood. 6 mins to Pricesmart and Highway. REDUCED $2.8m. All documents Bank-ready. 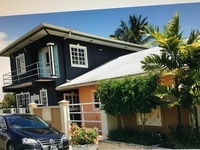 Call for viewing appointments.